With all the commercial diet plans and conflicting weight loss advice that is available, it can be challenging to formulate a plan for achieving lasting weight loss. Fortunately, researchers have conducted countless studies to determine what works and what doesn’t when it comes to diet and exercise, and the results of these studies have pointed us in the right direction. With these scientifically-proven strategies, you can lose weight and maintain your weight loss for years to come. If you have been following the low-fat diet in hopes that it would help you to slim down, the chances are that you have been doing it all wrong. Individuals who were following the low-fat and the Mediterranean diet restricted their calorie intake, whereas those supporting the low-carbohydrate diet did not. The study authors found that individuals who adhered to the low-carbohydrate diet lost significantly more weight than those in the other two groups did. Tossing the low-fat snacks and replacing them with higher-fat, low-carbohydrate foods such as cheese sticks or nuts could make your weight loss efforts considerably more successful. Once you have lost the weight, a low-carbohydrate diet can help you to maintain your weight loss. One group of participants consumed a low-fat, high-carbohydrate diet; another group consumed a moderate amount of carbohydrates, and the third group went on a very low-carbohydrate diet, consisting of only 10 percent calories from carbohydrates and 60 percent from fats. Study results found that individuals consuming the low-carbohydrate, high-fat diet experienced the least decline in resting metabolic rate out of the three groups. Weight loss typically induces a decrease in metabolic rate, because the body requires fewer calories to maintain a lower weight; however, eating a high-fat, low-carbohydrate diet can attenuate this effect and make it easier for you to manage your weight loss. 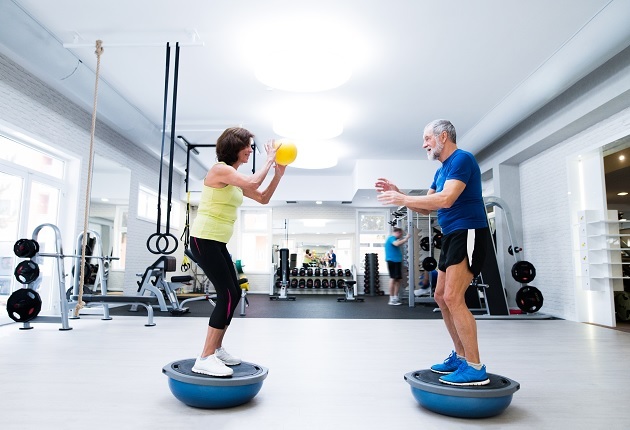 You probably know that exercise is vital for maintaining good health, but it can also be the difference between keeping weight off and regaining it. They found that people who dieted and exercised lost more weight than people who only dieted and did not engage in any physical activity. Some of the studies in the review lasted two years or more, and in these studies, weight loss also was significantly higher among people who exercised, suggesting that exercise plays an important role in long-term weight loss. The impact of physical activity on calorie burn could explain the lasting weight loss seen among those who exercise. This fact is especially important because, as discussed previously, the body burns fewer calories after weight loss. Regular exercise can increase daily calorie burn and prevent you from regaining the weight you have lost. Find a type of activity that you enjoy and can stick to achieve long-term weight loss. If you want to lose weight and keep it off, it is essential to make healthy lifestyle changes and stick to them, because if you revert to old habits after losing weight, it will likely find its way back to you. It is therefore beneficial to make lifestyle changes you can sustain; if you choose extreme weight loss strategies, you might initially lose weight, but you will not be able to stay committed to these extreme methods. The research supports the notion that lifestyle changes are essential for lasting weight loss.. These sorts of behaviors are common when trying to lose weight, and being able to maintain them after weight loss plays a critical role in long-term success. Additional research has found a relationship between lifestyle changes and long-term weight loss. These behaviors do not appear to be extreme, and they are reflective of healthy lifestyle changes that dieters can sustain over time. Committing healthy lifestyle changes such as controlling portion sizes and keeping healthy food on hand is perhaps the most crucial part of losing weight and keeping it off over the long-run. 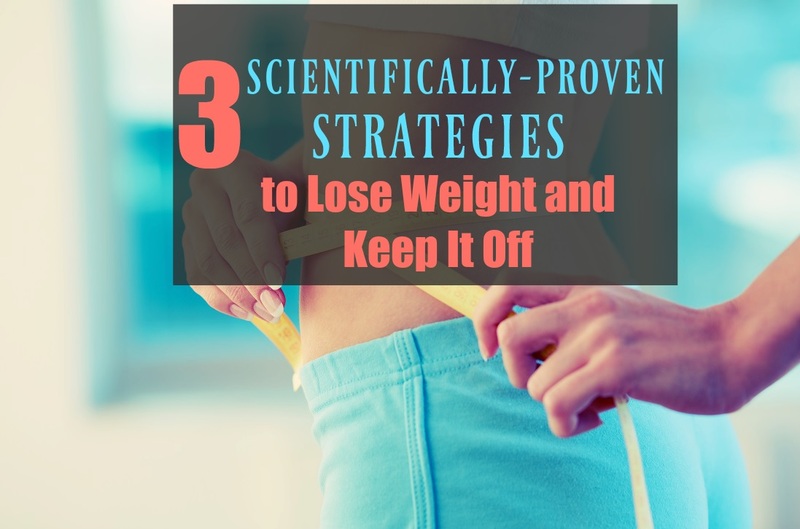 Other strategies, such as adding exercise to your routine and choosing a low-carb instead of a low-fat diet are scientifically-proven ways to achieve lasting weight loss successfully. Keep these strategies in mind when developing your weight loss plan, and your health and fitness goals will be within reach. (4) Exercise Training and Energy Expenditure following Weight Loss. (5) R Wing, Rena & Hill, James. (2001). Successful Weight Loss Maintenance. Annual review of nutrition. 21. 323-41. 10.1146/annurev.nutr.21.1.323.